Five Assyrian singing talents will be performing the Assyrian songs of Vania David and Misha Ashoorian at the fifth Annual Mesopotamian Night concert. In the article below Sargon Alkurge has gathered a summary of their biography and artistic accomplishments. Lazar was born in Beirut, Lebanon to Assyrian parents, Hormiz and Chima Malko. His Family decided to immigrate to the USA and after spending four years in Greece, they arrived in Chicago, Illinois in 1980. That became their new home and they lived there since then. At a young age, Lazar remembers how fascinated he was listening to his father singing and playing the “Oud”, a Middle Easterner pear-shaped stringed instrument, as he was a big fan of the legendary Lebanese singer Farid Al-Atrash. It wasn’t long until Lazar discovered his passion for singing so he joined the Choir group at the Assyrian Church in Chicago. When Lazar was still in high school, his brother introduced him to a group of Assyrian youth that was looking for a singer for their newly formed band. For the next four years he performed with the band at Assyrian parties and weddings. He received many positive response and attention from the Assyrian community in Chicago for his exquisite vocals and talents. It was just a matter of time until Lazar decided in early 90’s to turn to solo career and began to sing professionally. He also started to pursue his dream of making an album of his own. That dream became reality in 1996, when he released his first album titled “Murre Kha Khabra” which marked the beginning of a very successful career. 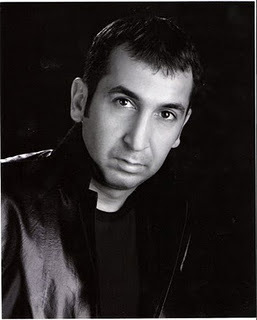 In addition to his singing talent, Lazar has composed almost all of his songs and wrote many of the lyrics. 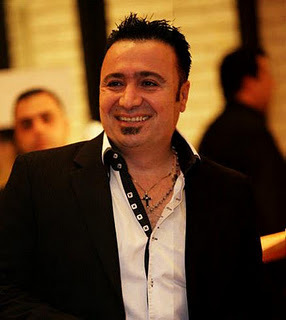 His songs became instant hits and popular among Assyrian music fans nationwide. He continued his success and so far he has produced six albums including his latest 2011 album “Kasreh Rameh”. Lazar has worked with great musicians and song writers’ icons like Ninos Nirary, Odisho Younan, Nimo Marcos and many others to ensure quality music that Assyrians would be proud of. Salem was born in Kirkuk, Iraq and he started to play the Guitar at a very young age. In 1978 he joined his first band, the Bee Band and his musical career advanced when he became the lead singer of his second band, Sweet Band. His career was interrupted when he and his family decided to leave Iraq. He arrived in Chicago, IL and made it his new home since. It didn’t take long until he restarted his musical career and pursued his ultimate dream which was to come out with his own CD. The dream became true when he released his album debut “Bet Nahrain” in 2001 which was an instant hit. He continued his success and produced three more albums the most recent in 2010 titled "Khaeya Atour." Tony was born in 1972 in Kirkuk, Iraq. His father was a truck driver for an oil company, and his mother was a housewife who took care of raising Tony, four sisters and three brothers. His brother James was his role model while he was growing up, he taught him everything about singing. He started his singing career in 1988 in Kirkuk and two years later he went to Baghdad to join "Ashur King's band" that performed at Nineveh and Ashoor's banquet halls. In 1997, he left Iraq and lived in several other countries, significantly in Holland and Jordan, until he settled in Hamilton, Canada. In 2000 he restarted his singing career in his new home performing alongside keyboard player Wail Yako. 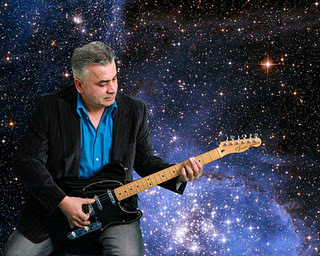 Tony instantly became popular and in demand at Assyrian parties, picnics and weddings in Canada and all around the world.He has released four very successful albums with lyrics written mostly by his brother James Gabriel and three live albums. Jowan was born in Baghdad, Iraq and raised in Chicago, IL where she currently lives. Since she was a little girl, Jowan would always say that her dream is to become an Assyrian artist known around the world. That dream became true, at the age of 21 Jowan released her first album and not surprisingly she called it "A Dream Came True (Khulma el shrara khdreh)". Her career moved ahead and she started to perform all around the world. Her second album "Khayen" released in 2009 was a smash hit with song "Zowaa" receiving a national recognition and admiration. This year Jowan has released her third album Called "Basa Ya Donyeh" with collaboration of many of top Assyrian musicians and lyrics writers. Rita was born in Duhok, Iraq, raised in Detroit, MI. and after getting married she moved with her family to Phoenix, AZ. She is currently working on her second album but no release date has been set.